It's 2015. This year will be better than the last one, simply because we learned new things, we made more steps in our journey and we are getting closer to the better versions of ourselves. We are better, smarter, wiser, and this time we will have more inner tools and resources to build and shape the persons that we want to become. We just need to take the chances, grab the opportunities, and keep working and believing in our dreams, and the Universe will put everything in our way. Because in the last two months I was quite busy, I didn't had time to post the latest news and events, and I will do it now. First, I would like to talk about the happening/event that took place at the Red Door studio, on the 29th of November. For one night only, Red Door Studio was transformed in a taqueria (taco-shop) and it served as a space where people can eat some real Mexican tacos. The event was shaped as an exhibition/intervention/happening having as central element the well-known taco. For those of you who don't know what a taco is, I must say is the most traditional and delicious street food in Mexico. 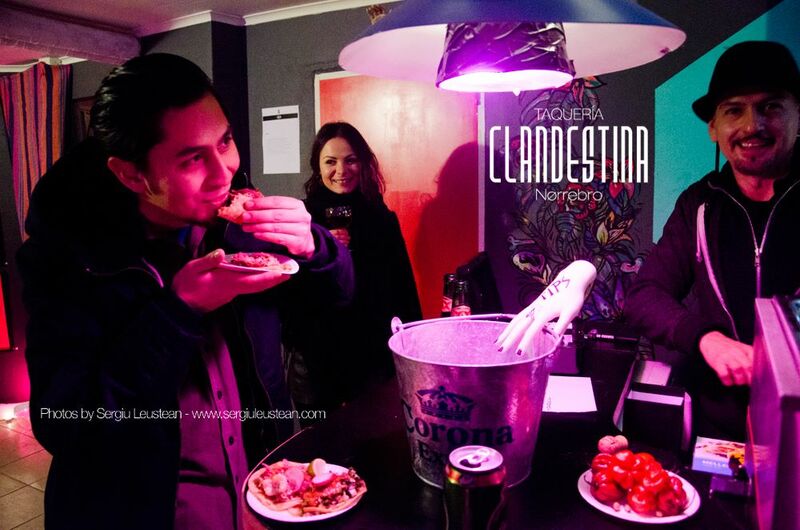 Having the opportunity to eat a taco made by a Mexican chef in an unconventional space in Copenhagen was an event by itself. Together with the Red Door artists we transformed our atelier in a taco-shop using the concept of Art Intervention, which, by definition, is an interaction with a previously existing art work, audience, venue/space or situation. Besides the specific decoration and elements that you can find in a traditional taqueria, we also put up an exhibition, each one of us participating with works that depicts images and subjects inspired by the Mexican culture. The participating artists were Elizabeth Torres, Jewel Pickard, Mette Højland Frisch, Søren Forsom, Marco Eskalante and Andreea Vlad. The Happening Is a performance, event or situation meant to be considered art, usually as performance art. Happenings occur anywhere and are often multidisciplinary, with a nonlinear narrative and the active participation of the audience. The happening part of the event started when we opened, when people started to arrive and the first tacos were served. The unusual space, the unique concept and the delicious Mexican tacos gathered more than 100 people at the event. The presence of our guests from many different places on the Globe, together with the authentic music and specific smells created an atmosphere that is hardly reproduced elsewhere in Copenhagen. 9. Big, small, everybody taco! The creator of the concept is Marco Eskalante, a Mexican visual artist and designer, who's been living in Denmark and Mexico (traveling back and forth) for the last 16 years. "With this idea I wanted to bring people together to enjoy what we call the "real Mexican food", and to introduce to an audience that lives in Copenhagen the atmosphere of an authentic taqueria. Being an artist and a conceptual thinker, and more than that, a food passionate, I created this social-artistic event with the intention of bringing some of the tastes, smells, sounds, colours and motifs from my own culture into a Copenhagen location, for an international audience, including friends and people that I know, and creating a friendly warm happening for everybody. Art and food connects people, so why not bring everything together in one concept?" said Marco. 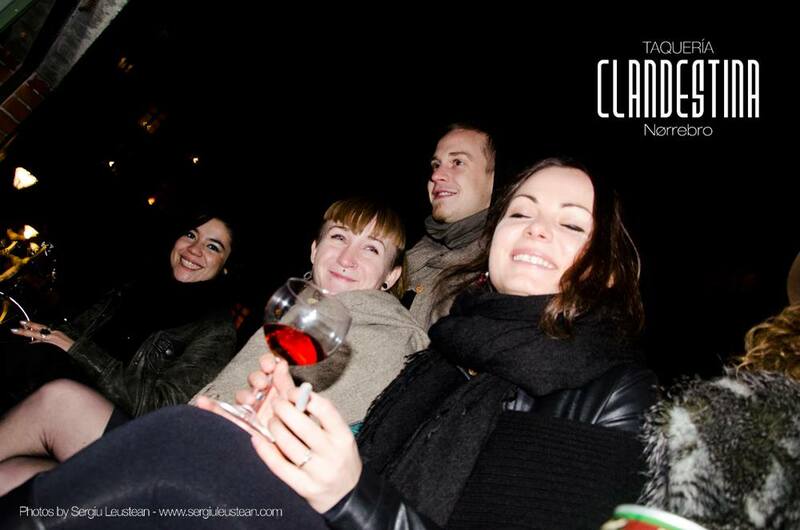 Why Clandestina? "Because is a concept outside of the norm, that doesn't follow the established rules; no one expects a taco shop in an atelier/art gallery, and being a one time event in a (initially) secret location gives a mysterious feeling around the happening" added Marco. The event was a success and we sold every single taco and drink that we had prepared for the evening. Being the first of a series, the event will be repeated in the near future, in various different locations and hopefully more people will come and enjoy the delicious tacos and the real Mexican atmosphere. Many thanks for everyone that helped and participated for this event to happen, thanks to the artists, and special thanks to the Taco Chef, on his name Julián Guajardo Rodríguez ! 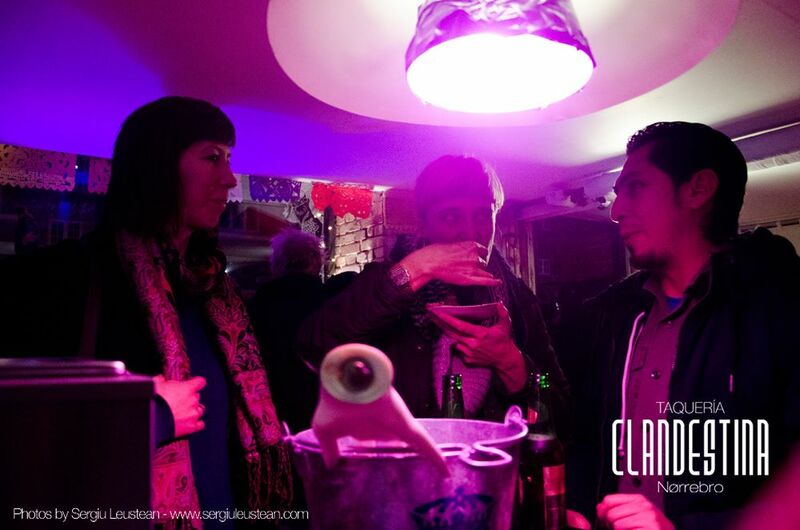 Also, thanks to the photographer that documented the event, Sergiu Leustean and most important, to all the people that joined us and happened Taqueria Clandestina! I present to you: Franco Bianco!